Local media always play on civic pride and act like Indiana is a major player in national politics (“Governor Doofus is on the short list!”) so it’s been fun to see our beloved state get national coverage, at least for a news cycle or two. We got a bump when Cruz announced Fiorina as his VP (and made the “basketball ring” gaffe that will probably cost him the primary here) while Trump appeared at a rally with Bobby Knight. Purdue students started lining up in the cold at 1:30 AM Wednesday for an appearance by Bernie at noon. Bill’s been here, and Chelsea is coming tomorrow, but where’s Hillary? In my dream, that’s where. I work for the US government in the Mideast. The entire office is abuzz because Hillary is touring the area. She’s met with OPEC people, sat on a camel, shopped at a bazaar, and done other touristy things (like she’s never been here before). My boss Oscar (Richard Anderson, “Oscar Goldman” in “The Six Million Dollar Man”) slips quietly into his office after two-week’s leave. We’ve grown close over the few months I’ve been assigned here, so I go in and ask how was his trip home to the States. We’re joined by our colleague Gary (Gary Busey—I’m sorry it’s Gary Busey, I can’t help what my unconscious comes up with) and Oscar tells us the touching story of what will surely be his last visit with his 105-year-old father. (My dream Oscar is 80; actor Richard Anderson turns 90 this year.) He asked his dad what he wanted to do, and that’s how they spent the night in the Sonora desert under the stars, curled up in sleeping bags gazing at the night sky. I feel privileged that Oscar told Gary and me the story because he’s not the sentimental type and will not likely repeat it. Oscar also shows us the pair of gold-and-pearl earrings his father gave him that had belonged to his mother. He was very moved by this gesture because he expected the jewelry to go to one of his sisters. We’re sharing that moment when Hillary waltzes in. Somehow she knows Oscar has his mother’s earrings and asks to borrow them. I return to my department of about twenty people and announce, “I said ‘No!’ to Hillary!” then add jokingly, “I’m being shot at dawn.” But nobody is laughing. They’re all in shock, murmuring to each other and not looking at me. I return to my office and pick up my Meditation Box, a clear plastic box filled with clear plastic beads and tubes that fall into different shapes as you turn it. I’m trying to figure out how to turn some of them into a pair of earrings when Hillary comes in. I decide to meet my fate head-on and rise to greet her. She manages a weak smile and starts talking about her itinerary. She’d never have been so nice if she’d lost her argument with Oscar, and I knew he’d loan her the jewelry for my sake if nothing else. I was right. She wore Oscar’s heirloom earrings the next day. Dammit. 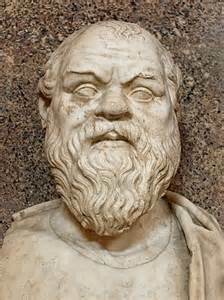 Did you know Socrates left no writings at all? What we know of the philosopher comes via his students Plato and Xenophon and the playwright Aristophanes. Printers during Elizabeth I’s reign were not permitted to include the scene in Shakespeare’s Richard II in which the monarch is deposed. The censorship was not lifted until five years after the queen’s death. Sir Isaac Newton predicted the world will end in 2060. He calculated the date from the 70-some years he spent studying the books of Daniel and Revelation and discussed in Observations on the Prophecies of Daniel, and the Apocalypse of St. John. Shakespeare is credited with writing 37 plays and 154 sonnets. But the plays of another popular Elizabethan playwright—Thomas Watson—are lost to antiquity. Watson’s lyrical poems, written mostly in Latin, are available but his dramatic works have disappeared. Readers love the story of Abdul Kassem Ismael, a 10th-century grand vizier of Persia. The scholarly ruler traveled with a library of 117,000 volumes carried by 400 camels trained to walk in a fixed order. The camel-driver librarians could lay their hands on whatever volume the master wished to consult. Thomas Jefferson’s original draft of the Declaration of Independence included an anti-slavery passage that was voted down by Southern delegates to the Continental Congress. Jefferson was so upset by this deletion (and other edits) that for years afterward he sent copies of both the original and amended versions to friends. Few colonials outside the delegates and his closest associates even knew Jefferson was the author until a newspaper article revealed his identity in 1784. Descartes might have lived to a ripe old age had he not been so flattered by a queen. Queen Christina of Sweden lured him to the palace for private instruction in philosophy, but the harsh Scandinavian winter, lack of central heating, and hours of tutoring took their toll. Descartes caught flu and died at 54. Writer Sherwood Anderson (Winesburg, Ohio) died of peritonitis. He drank a martini and didn’t realize he’d swallowed the toothpick along with the olive. Why does the author of Ivanhoe appear on the Scottish bank note? He saved it. In 1826, when British parliament proposed halting the production of bank notes of less than five pounds, Sir Walter Scott wrote a series of letters to the Edinburgh Weekly Journal under the name Malachi Malagrowther defending the right of Scottish banks to print their own notes. His image still appears on all notes issued by the Bank of Scotland. Leo Tolstoy advocated non-violence towards all creatures. He was giving a lecture on the subject when an audience member asked, "What should I do if attacked in the woods by a tiger?" Tolstoy responded, "Do the best you can. It doesn't happen very often."